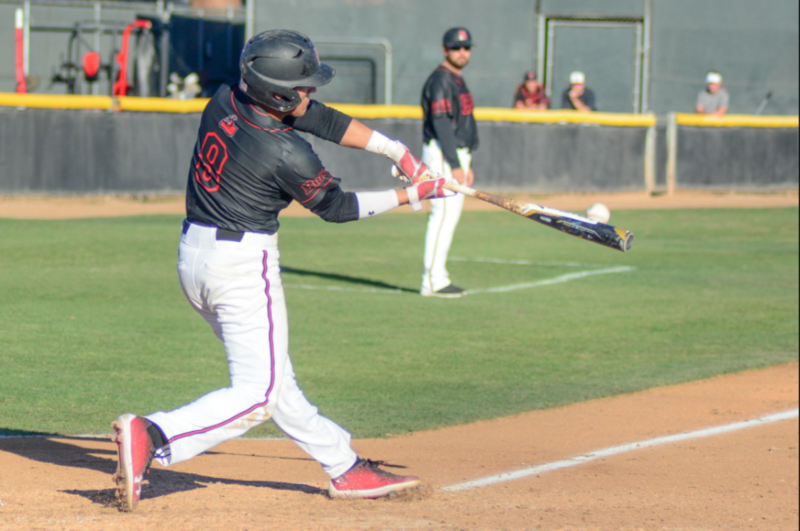 Cal State Northridge put on a power display of epic proportions in its weekend series against Manhattan. The Matadors tied a school record by scoring 31 runs on Saturday and CSUN swept the Jaspers in three games. CSUN (4-3) hit 13 home runs during the three game series against Manhattan who made its first trip ever to Southern California. Catcher Trevor Casanova had nine hits in the series and continued his hot start to the season by raising his batting average to .577. Casanova has 14 hits in his first seven games. The Matadors concluded the series with a 5-1 victory led by strong pitching performances. CSUN right hander Walker Armstrong picked up his first win of the season and pitched five shutout innings with four strikeouts while allowing two hits and two walks. Despite the quality start, Armstrong still feels there is more room for him to grow. CSUN’s offense continued to punish Manhattan’s pitching staff and scored three runs in the first inning. Albee Weiss added a two-run RBI base hit after a single from shortstop Alvaro Rubalcaba and a double from Casanova. CSUN junior Cassius Hamm came in relief of Armstrong in the sixth inning and retired the first six batters he faced including four strikeouts in the span. Hamm pitched three innings and allowed one run. Matadors southpaw Isaiah Nunez finished off Manhattan with his first save of the season and complete the sweep. Manhattan outfielder Ashton Bianchi was injured and had to leave the game after bunting a pitch off his face in the third inning. His nose was dripping with blood, but he managed to walk off the field under his own power. CSUN will go on the road this week with four games in Arizona. Two games against Grand Canyon and two against Valparaiso.